Washington, Oregon, Idaho, Nevada, Utah and Arizona. 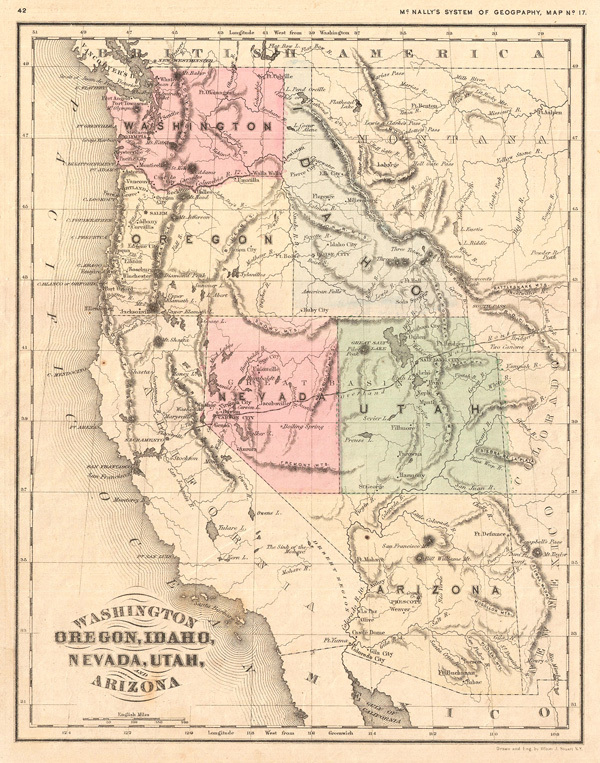 This delicately shaded c. 1870 map of Washington, Oregon, Idaho, Nevada, Utah and Arizona shows relief by hachures. Drawn and engraved by Oliver Stuart of New York, the map was published as Map No. 17 in McNally's c. 1870 System of Geography.